The map below displays the locations of the 44 congregations in the diocese and allows you to get driving directions to any of these churches using Google Maps. Click here to open the map in the Google Maps app on mobile devices, or to view a larger version of this map. If you have corrections, please email them to: hwilder@edsd.org. This map shows all the churches and facilities in the diocese and allows you to search for an institution based on specific ministry services, languages of worship, and proximity to a specific zip code. The map below shows the locations of our parishes based upon the mission areas of the diocese. 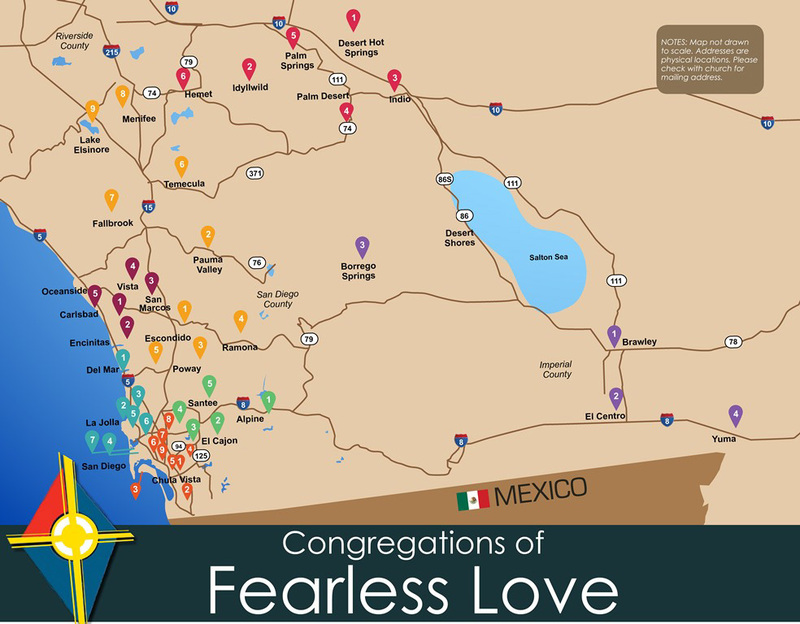 Below this map you will find the congregations listed by mission area and the name with contact information linked for the missioner in charge of each area. Click on the image of the map to view a larger version of it.